DD FreeDish direct to home TV dth to auction 8 TV channel slots for 27 electronic auction. 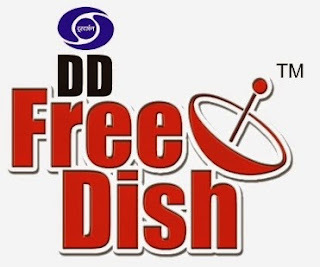 DD Free Dish, which currently operates a total of 80 channels, Plans to add new 24 TV channels in freedish channel list. The state broadcaster has increased their free quota for foreign public channels to add on DD free to air direct to home TV service. Public broadcaster Doordarshan the Free-to-Air (FTA), (DTH) freedish is going to take 27 E-auction for eight vacant slots that will be awarded to private television stations in the auction that will be conducted on 30 May, according to two people in connection with the auction. In the auction, the private broadcasters will bid for free DISH Network TV slots. set the starting price of each slot at Rs.4.3 crore, the same as in the previous auction in February. DTH operators had added nine channels through 26th auction. DD FreeDish DTH, which currently operates a total of 80 channels on its platform, is expected to add 24 new channels to increase the number to 104 in the next three months. "The Doordarshan policy allows us to keep slots for regional channels once a year, and we have that in the previous auction," said one of them. Doordarshan had two slots reserved for the regional channels of the last auction in which both channels were added in the Marathi language. So, no reserved slots for regional channel in this E-auction and we can expect some good private TV channels to join DD freedish dth through this e-auction. The state broadcaster also increased the price quota for foreign public broadcasting channels from Rs 1.5 crore to Rs.3.5 crore. "Doordarshan dth currently has four foreign television channels. They do not participate in the auction. We gave them space because they approached us with a fixed price," one of the two people said. The four foreign public channels are Russian television network-run Russia Today, Paris-based news and current affairs television channel France 24, Germany’s international broadcaster DW TV Asia+ and Australian Broadcasting Corporation (ABC+). The other popular TV channels on DD Freedish include Aaj Tak news and new ABP News and 24 entertainment channels like Star Utsav, Star Utsav Movies, Sony Pal, Rishtey of Viacom18 and Rishtey Cineplex, among others. Apart of these freedish dth alsohas 25 Doordarshan channels, including the official channels of Lok Sabha and Rajya Sabha. On May 16 Prasar Bharati, the Doordarshan, and All India Radio runs announced that it to auction their slots in prime time (between 7pm and 11pm). Under this policy, the private producers will now offer content in exchange for a share of advertising revenue.